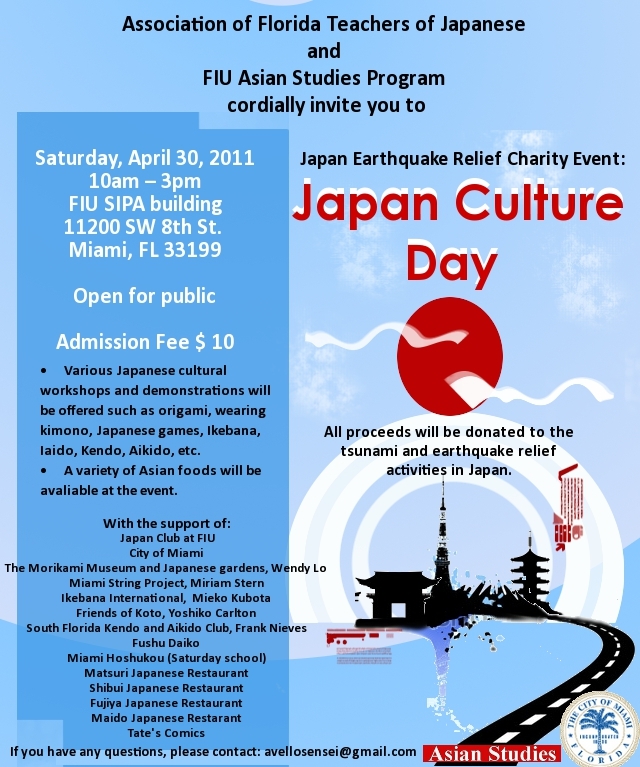 Hey guys incase you don’t have anything to do on saturday, April 30th, you could come to the Japan Culture Day event at FIU. Plus we will have DDR tournament, Karaoke, Origami, Para Para dancing, Yosakoi dance (i’m in this one >_<), Aikido demonstration (i’m participating in this, so you’ll probably see me get thrown), Kendo, Iaido (Traditional Japanese swordsmanship), Taiko Drumming ( its those huge drums they play on), Lots of food XD, kanji face painting, keitai strap (phone strap, you learn to make them) and other activites cause yeah there is alot, ooh! i forgot there is also Japanese games as in Janken (paper, scissor rocks (but extreme), this bread race? XD its really weird games. Yeah just want to get it out there. And um I couldn’t go out yesterday to Christine because i had no car and I um fell asleep after orly texted me so i missed most of the text you guys sent me. @New moumoon Album - 15 Doors! Angela Aki Anime BoA Coldplay Do As Infinity DollHouse Drama Eliza Dushku Games Guild Wars Jake Gyllenhaal James Corner Koda Kumi Microsoft Moumoon Movies Music Namie Amuro News Pokemon Random Science technology the chillness/oh noes TV Uncategorized Utada Hikaru Van Tomiko Work WTF! !